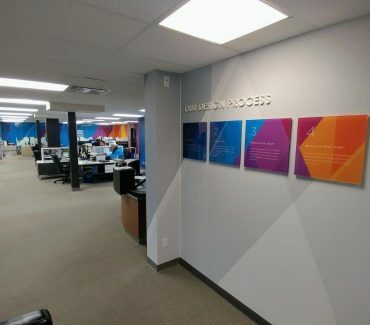 Use graphics to add value to your most important corporate assets – employees and brand. 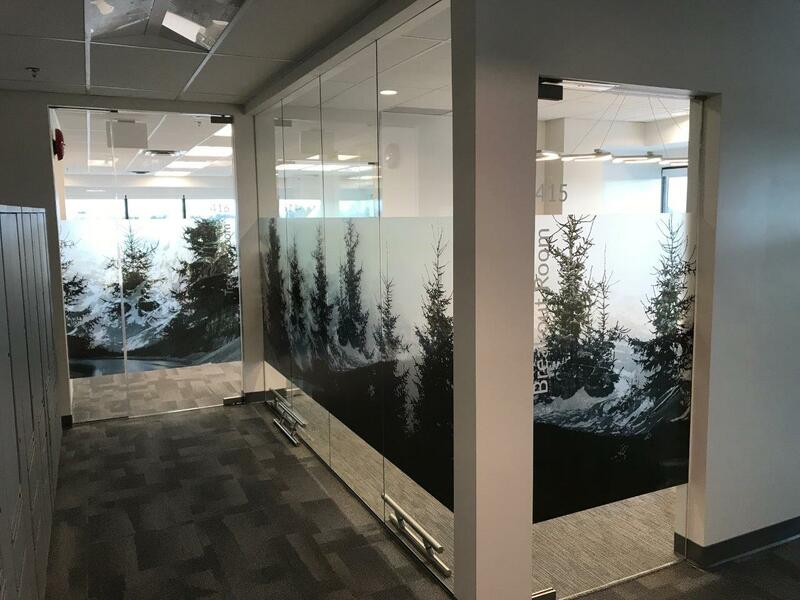 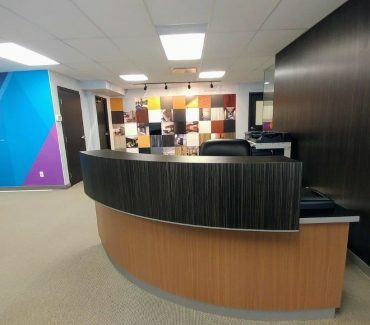 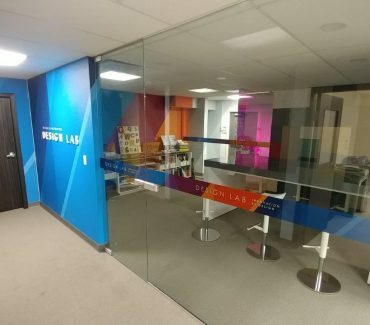 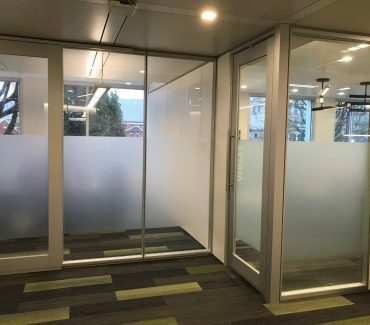 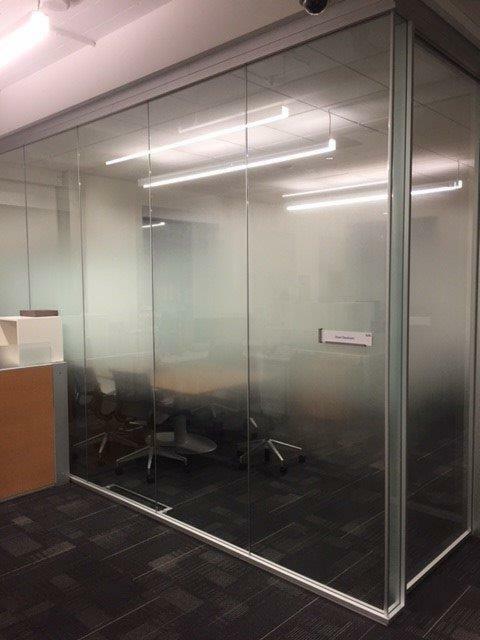 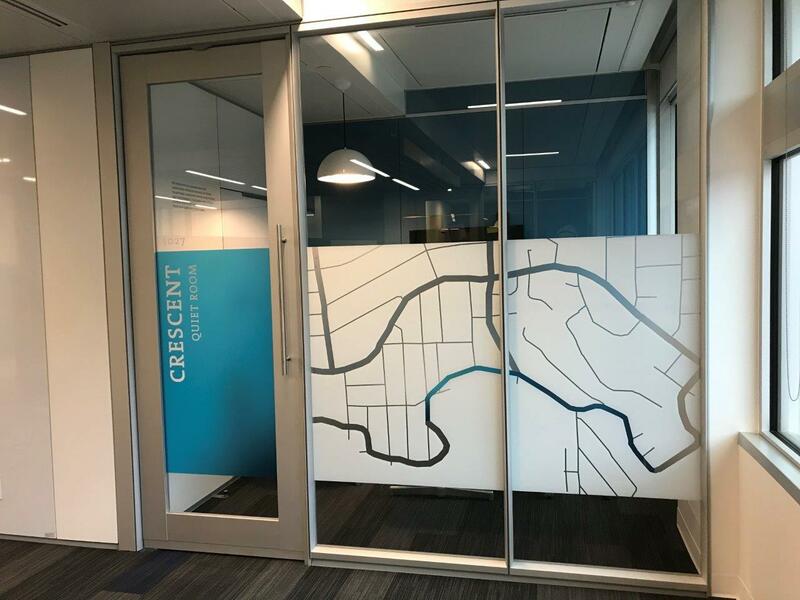 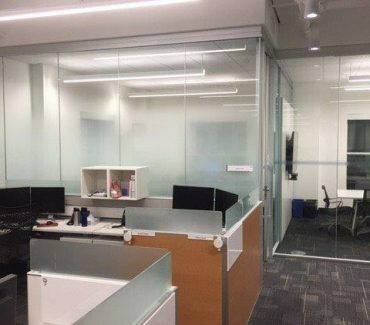 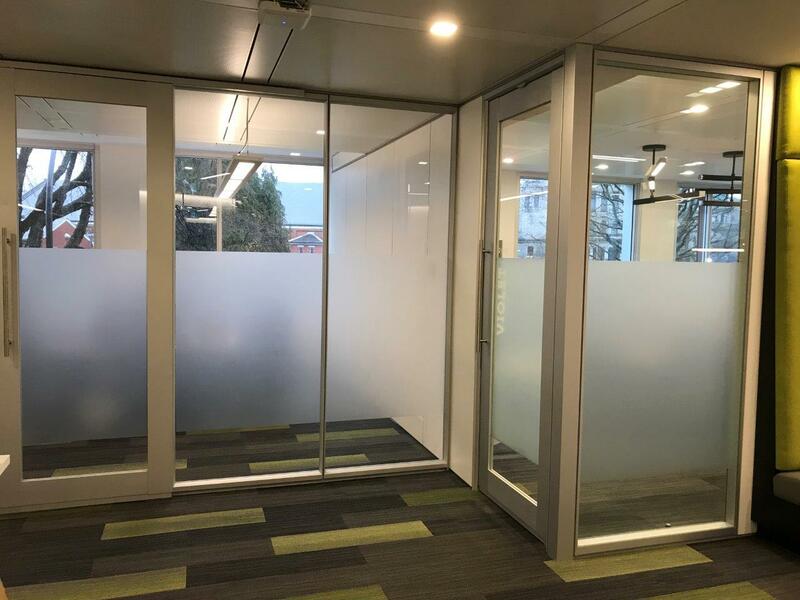 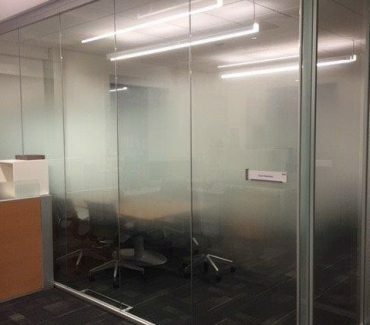 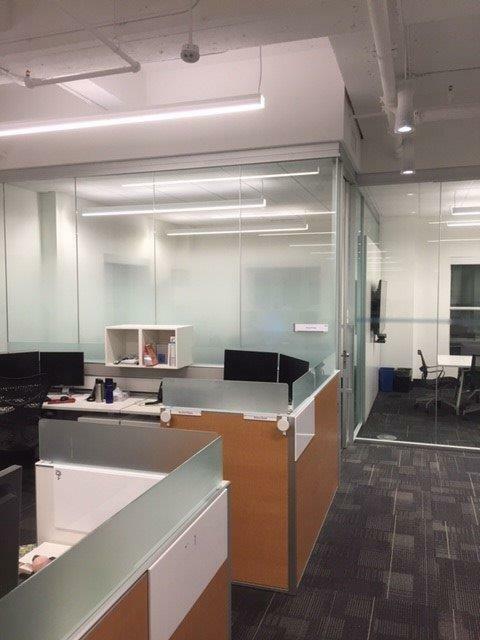 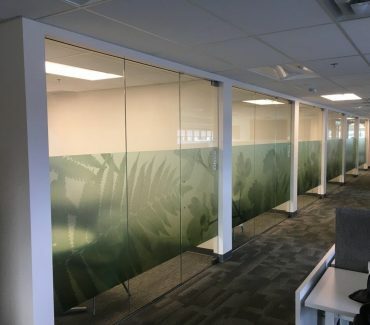 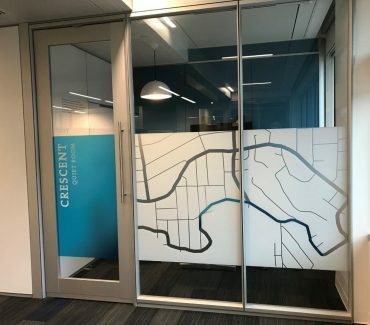 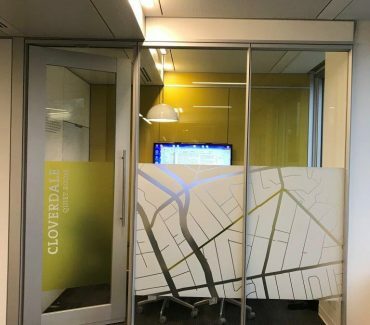 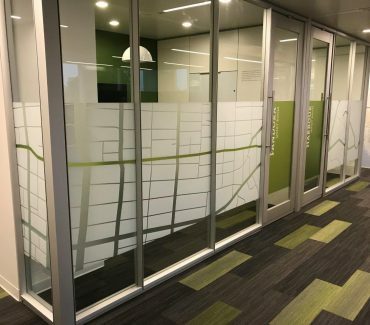 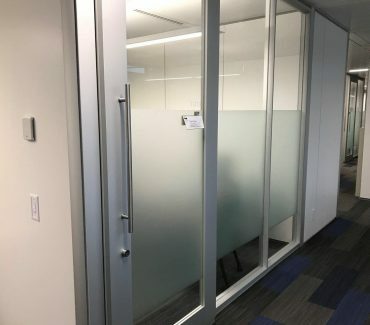 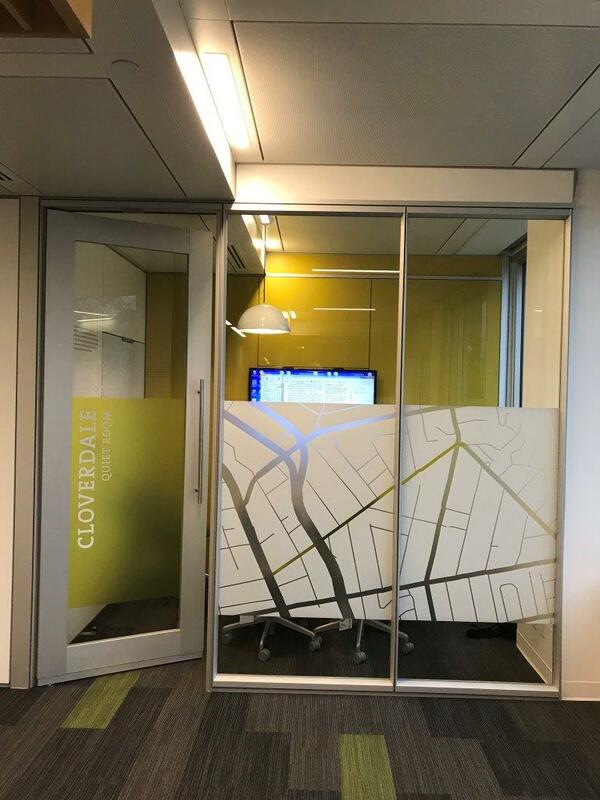 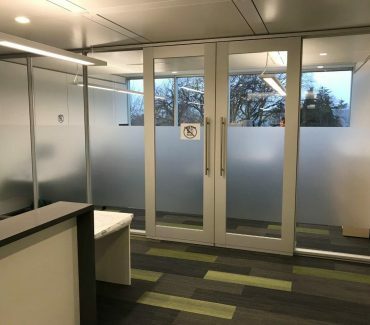 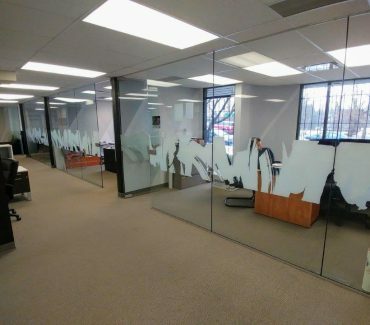 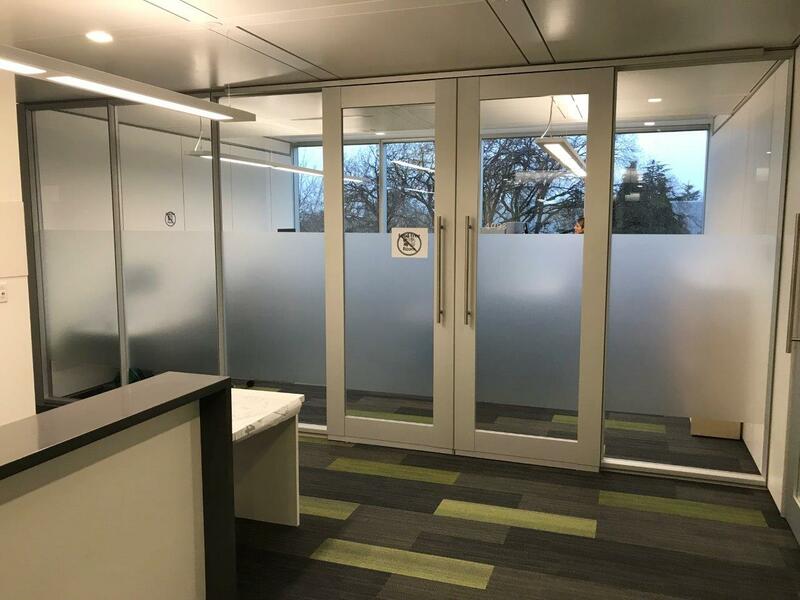 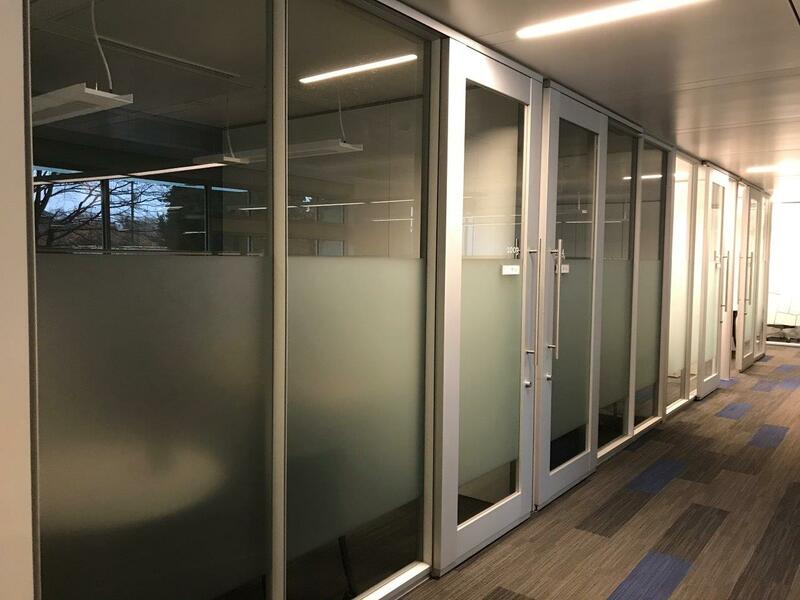 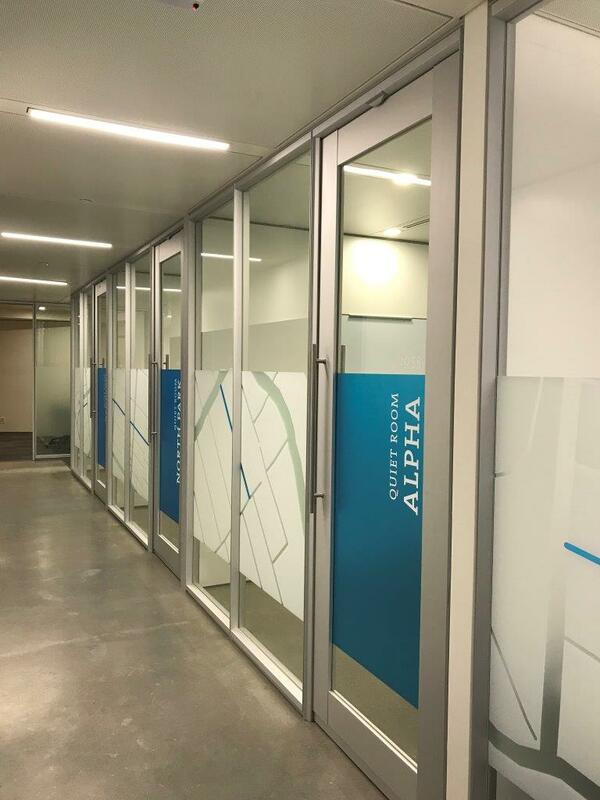 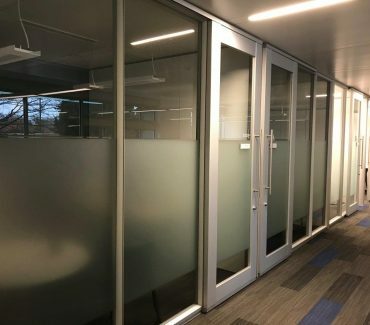 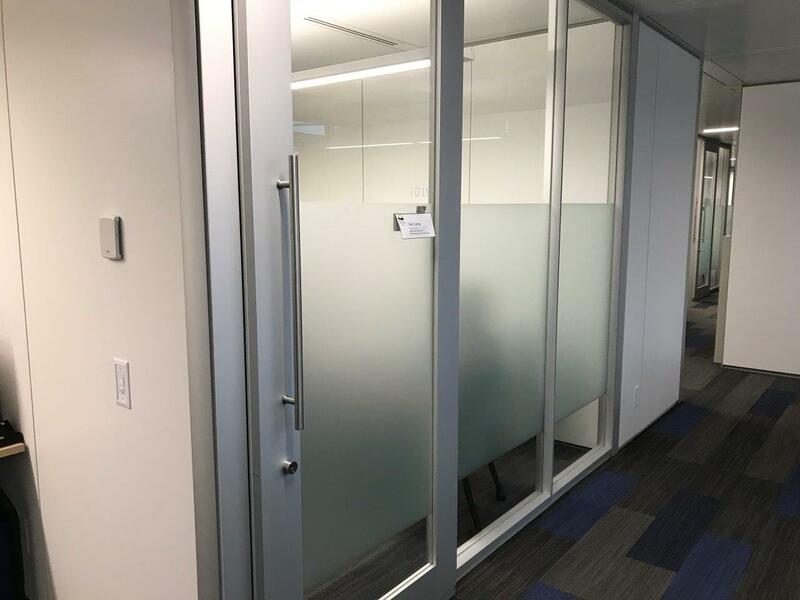 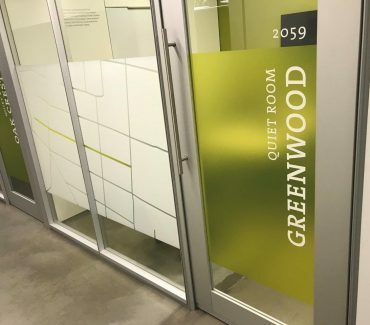 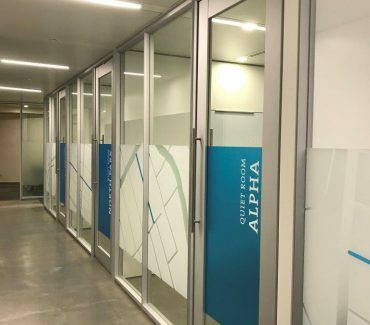 Improve your office walls, windows, and floors with over 900 architectural finishes as well as custom printed wall coverings and glass finishes. 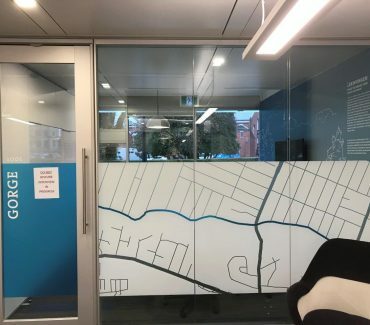 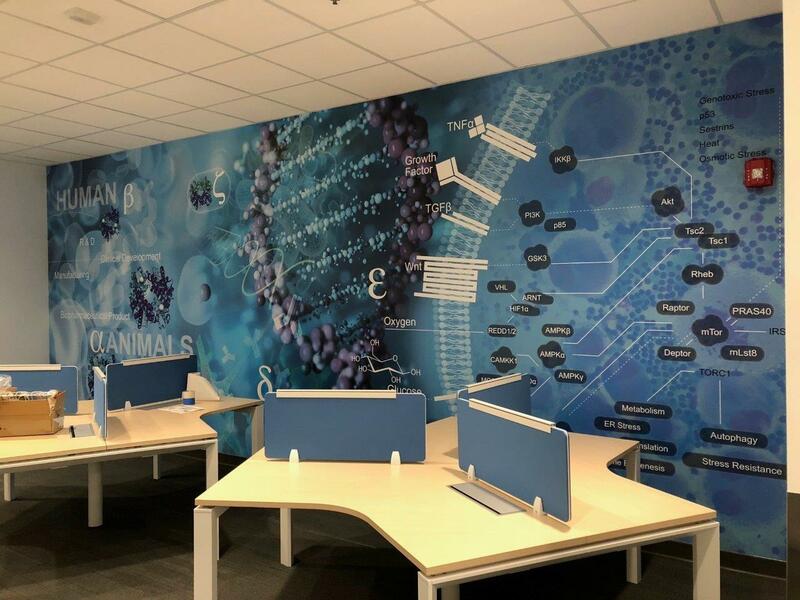 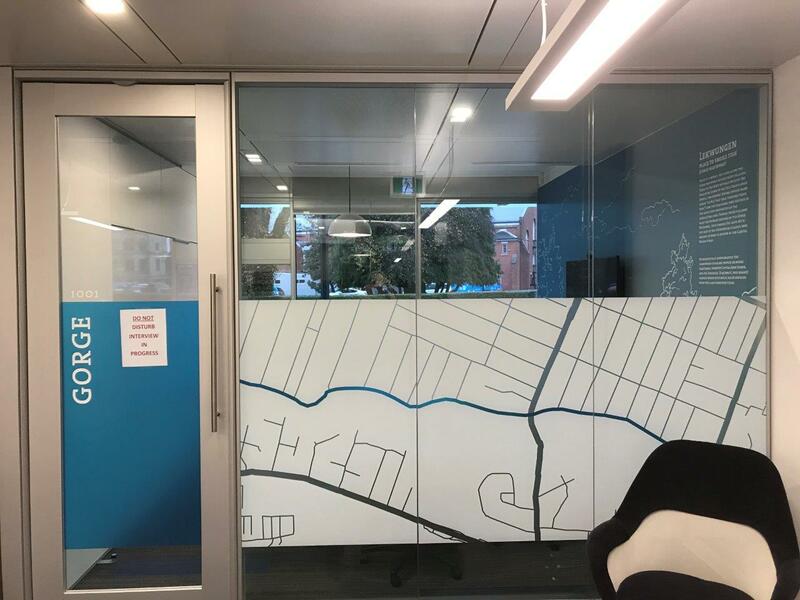 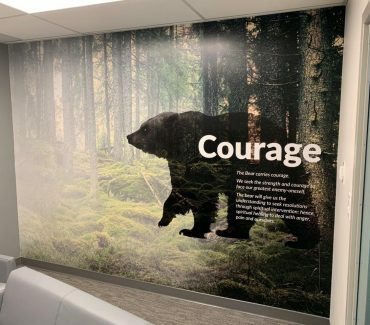 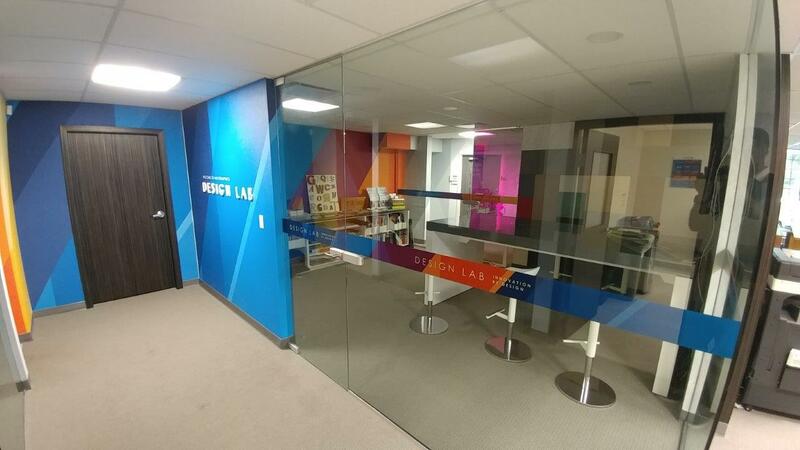 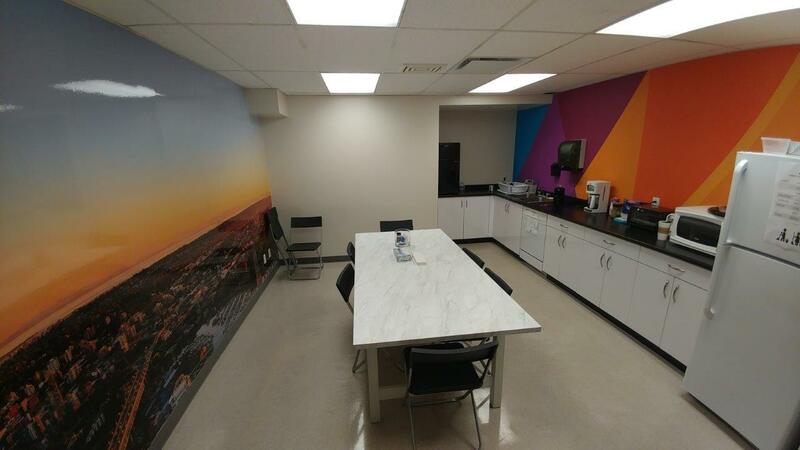 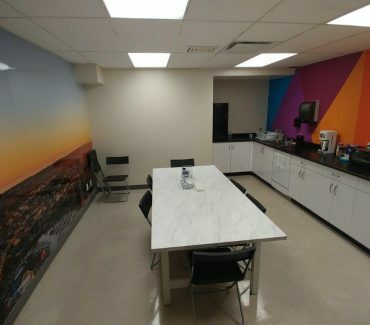 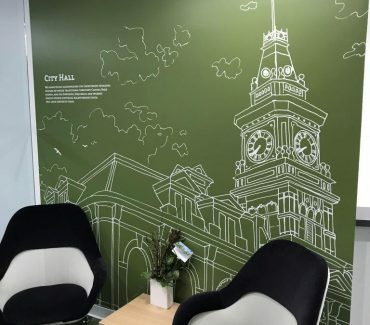 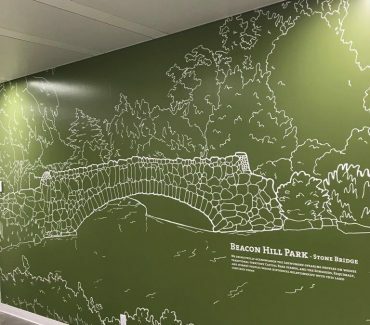 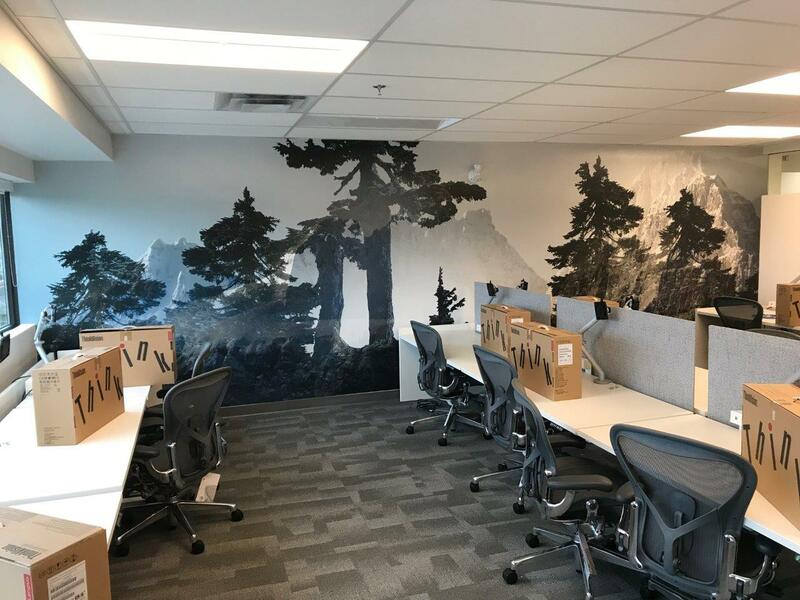 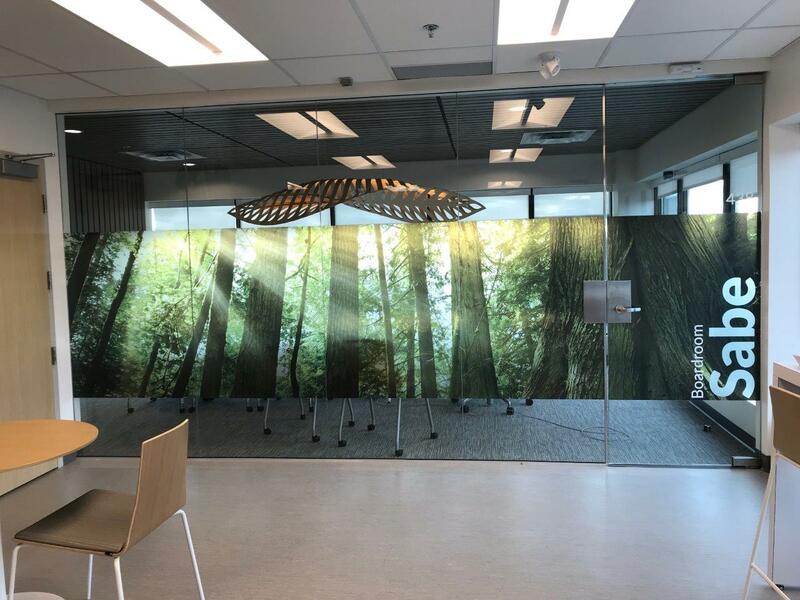 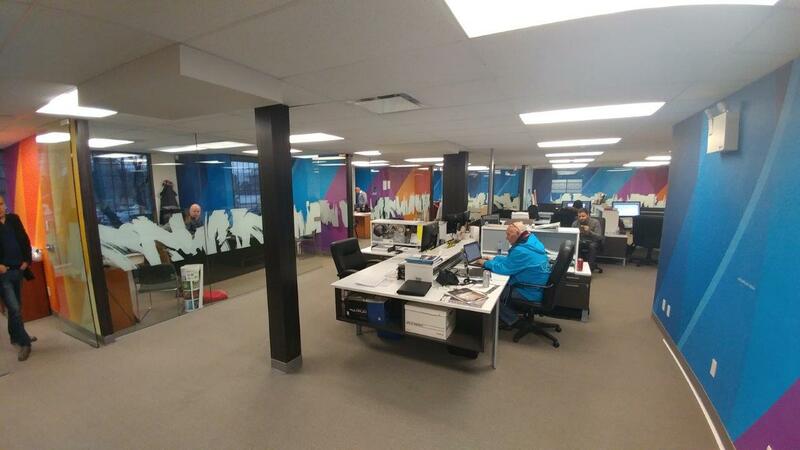 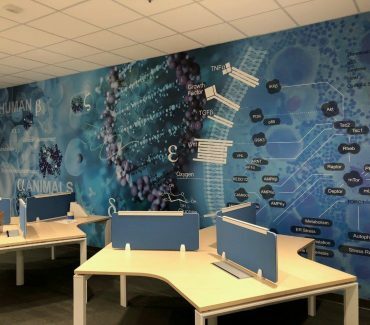 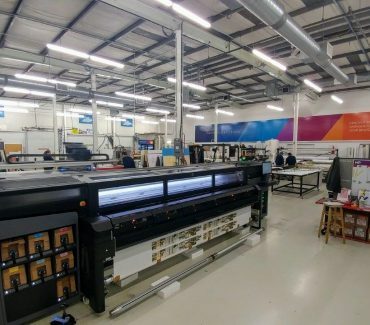 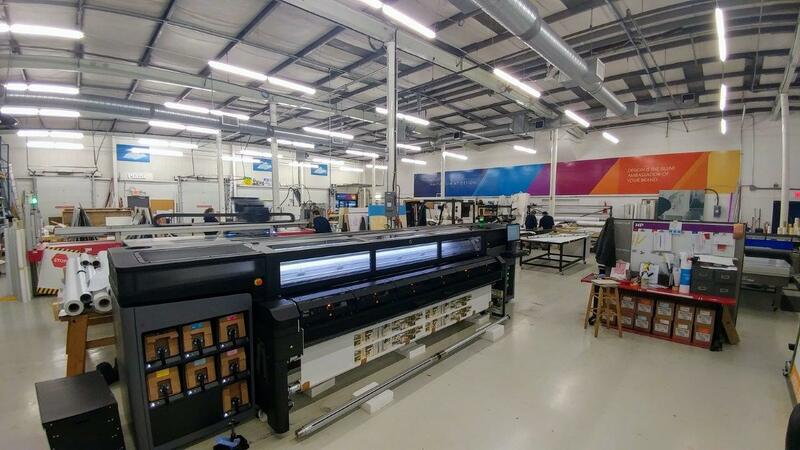 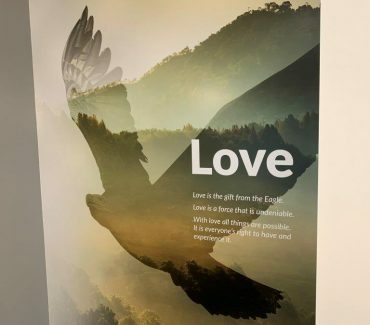 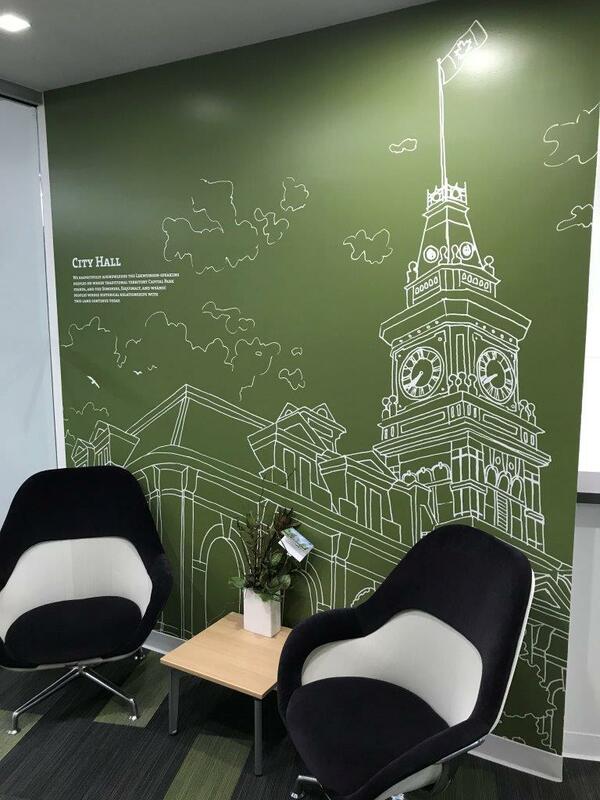 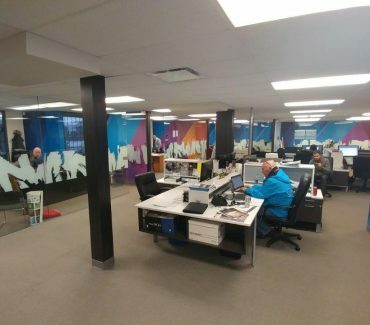 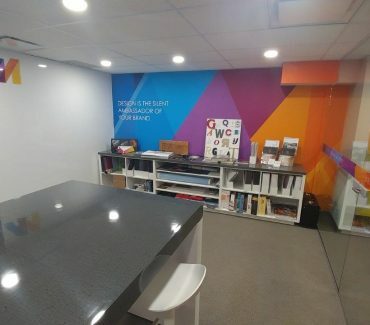 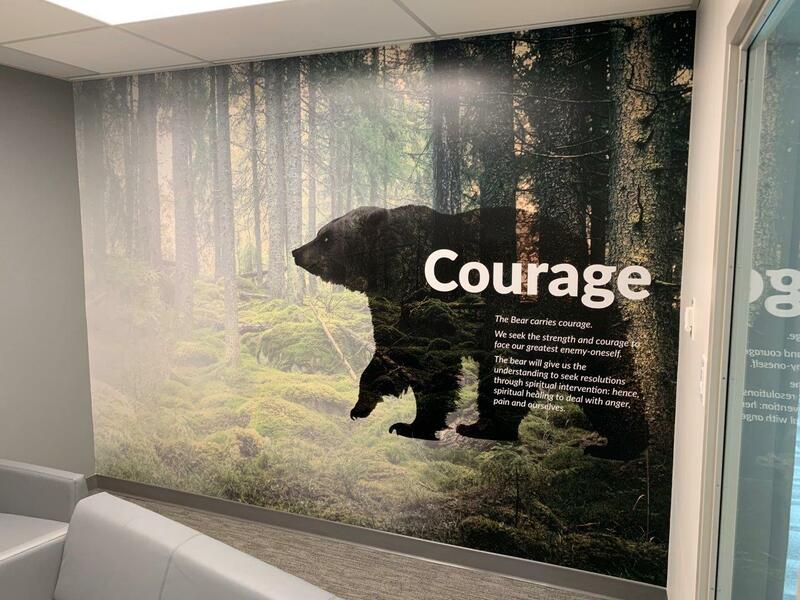 A local leader in wide format printing solutions, Multigraphics offers a new and innovative approach to using graphics in your office space. 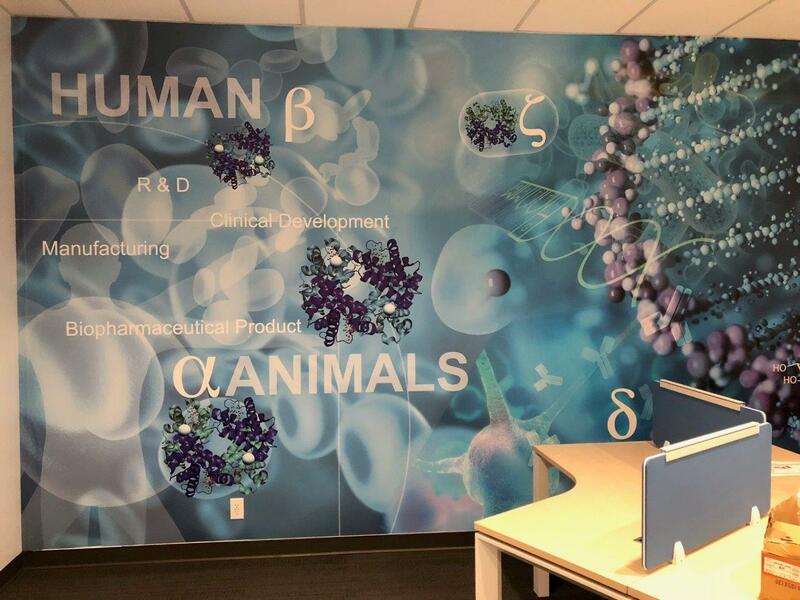 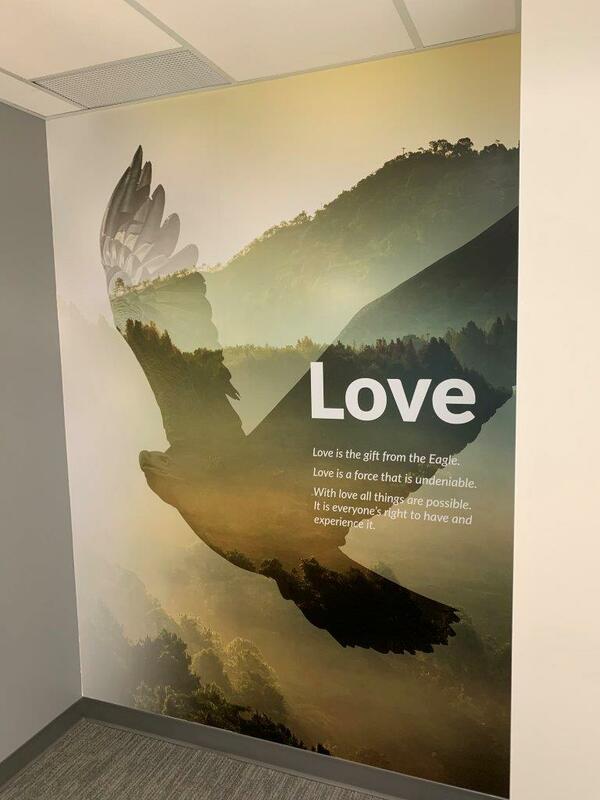 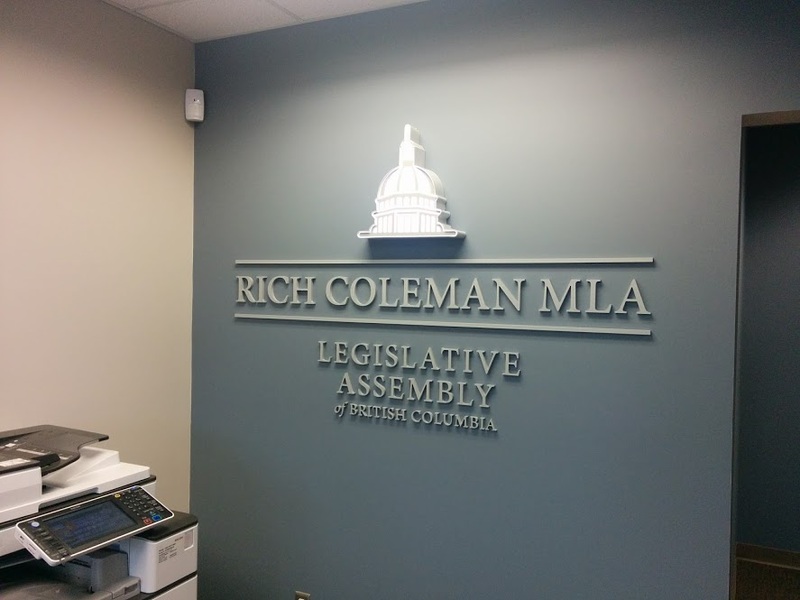 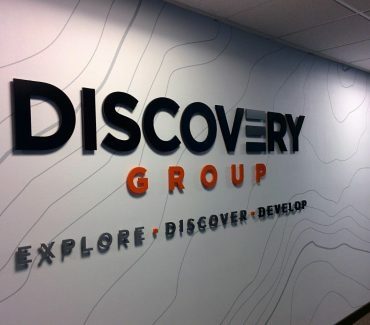 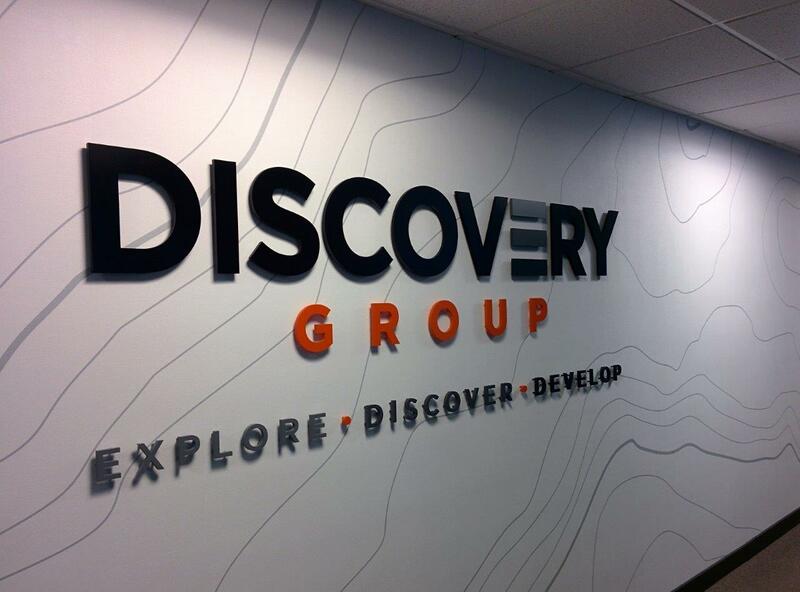 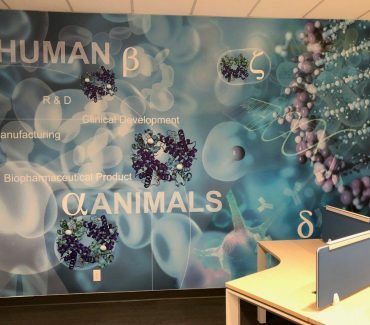 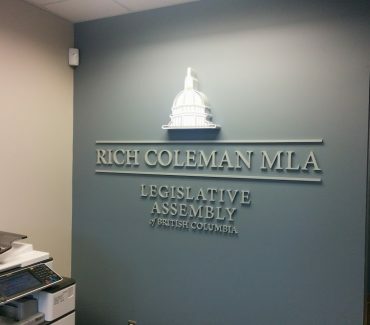 Let us help you revitalize your office space with creative and motivational environmental graphics. 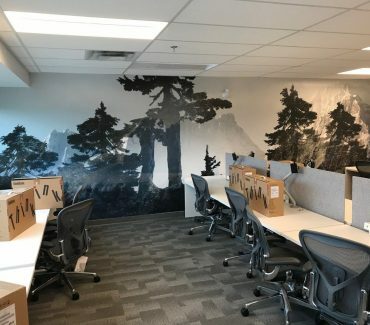 Improve employee engagement and productivity by creating an environment where people look forward to coming in to work. 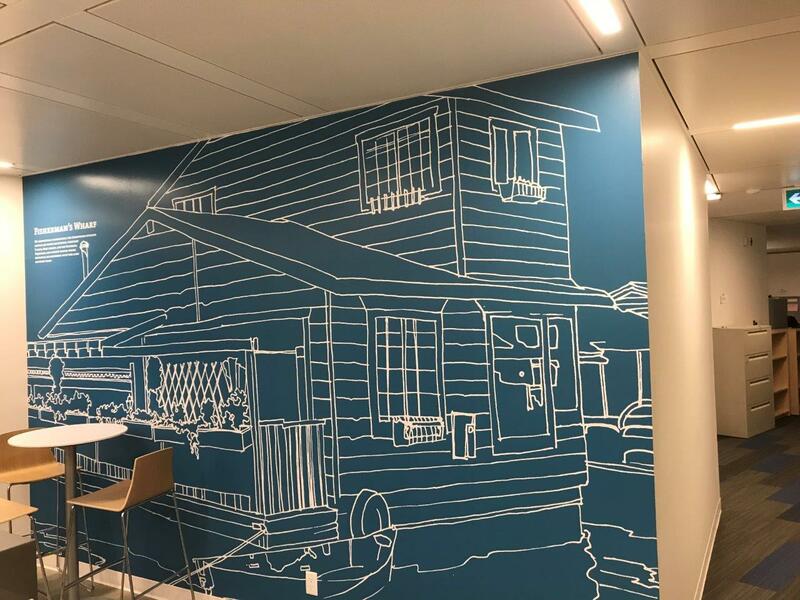 Communicate brand message to customers and employees alike with visual representation of where your company has come from and where its headed. 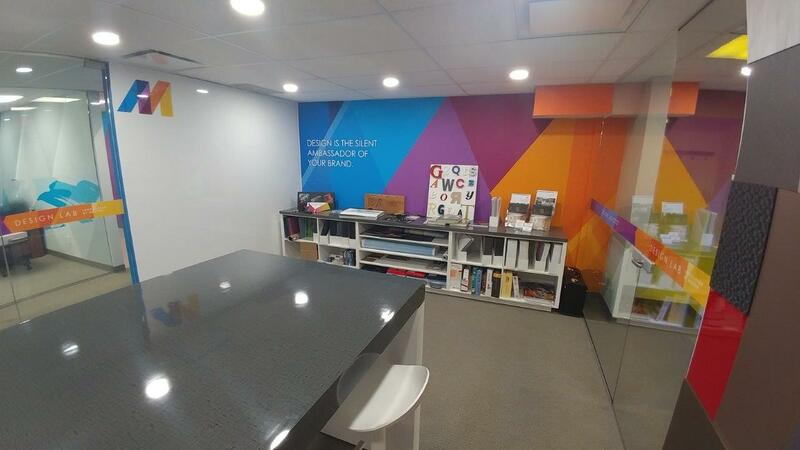 Reduce maintenance costs with wall coverings that are guaranteed to last 5x longer than paint. 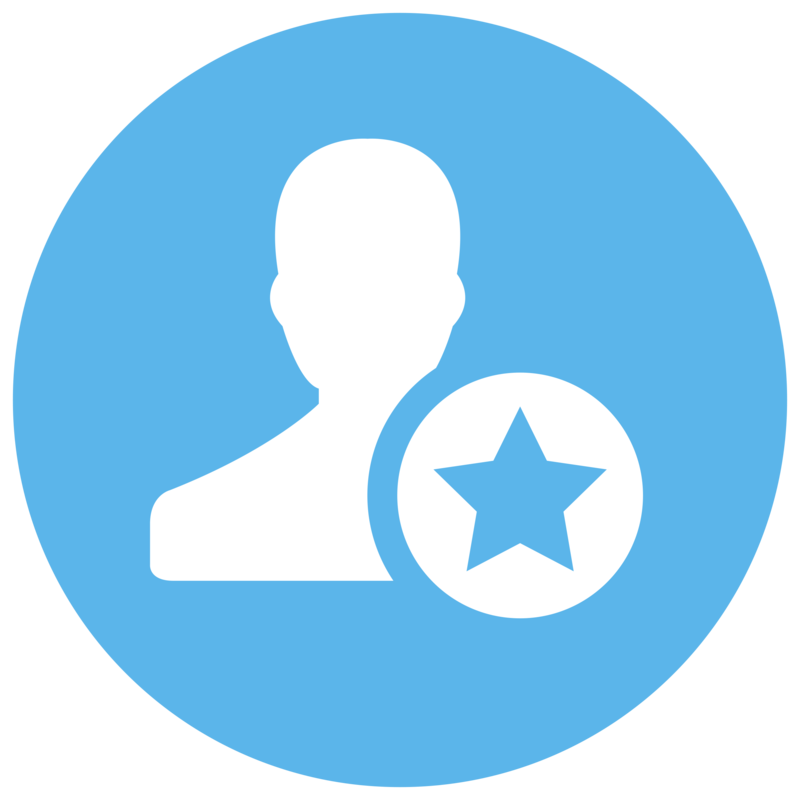 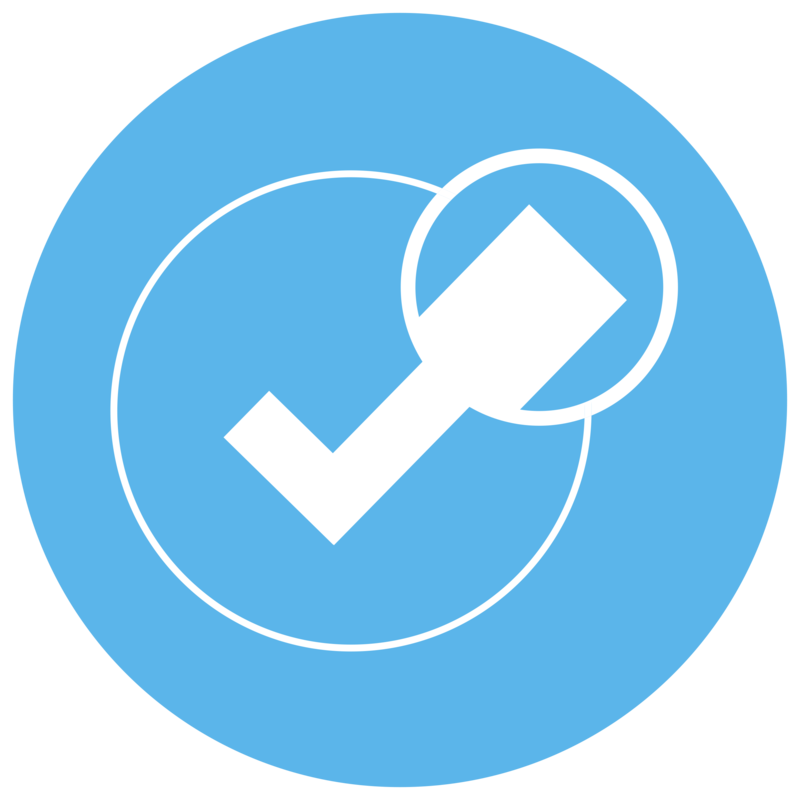 Attract top talent. 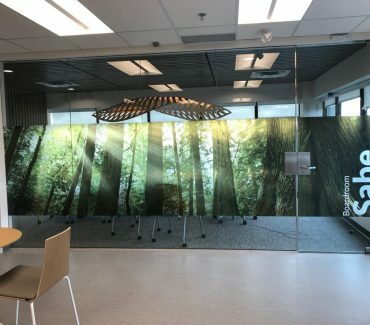 Tech companies and startups have found value in designing creative workplaces to attract talented workers. 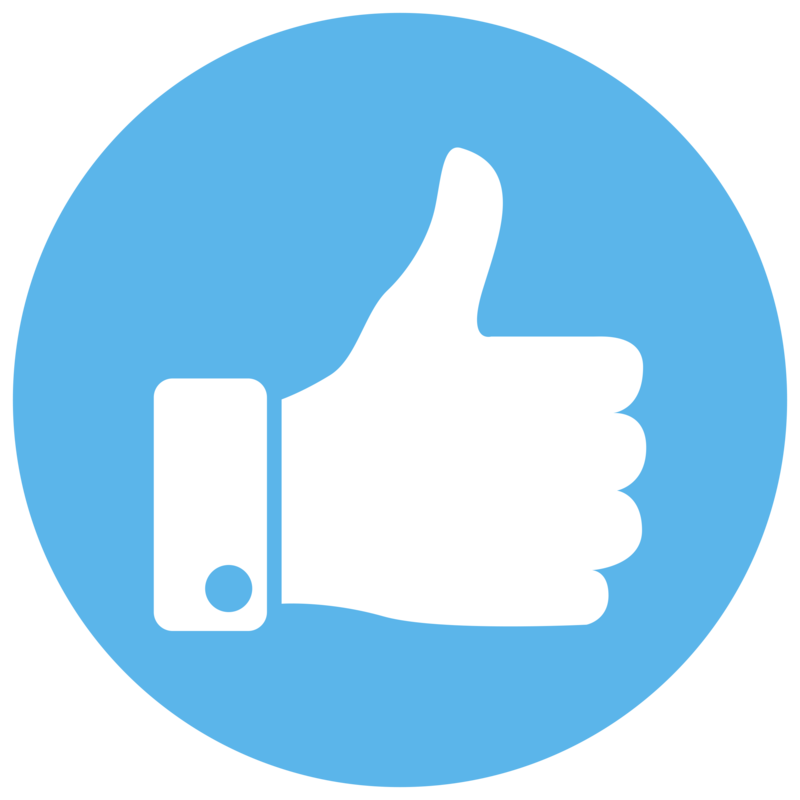 Disclaimer: Multigraphics do not own all of the images on this page. 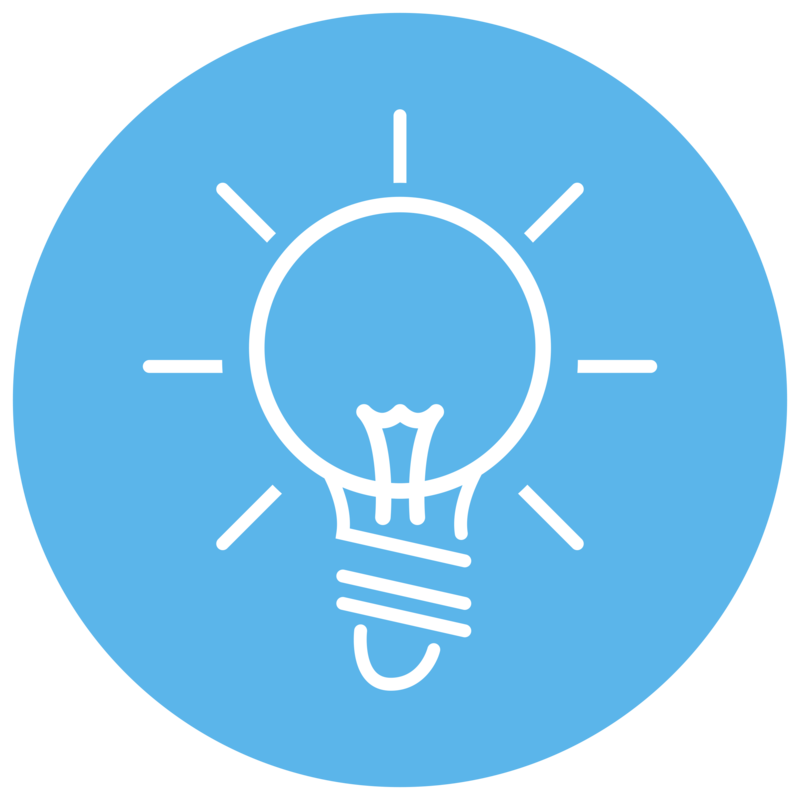 Some are used for generating inspiration from the works of others. 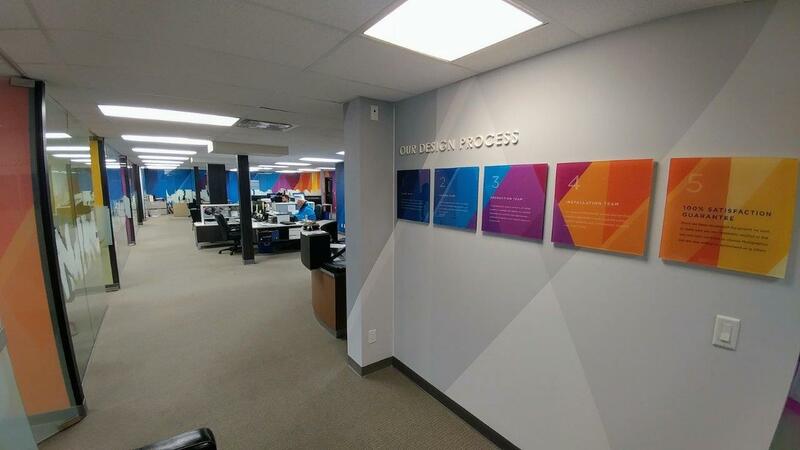 Motivational graphics can improve employee engagement resulting in higher productivity and lower staff turnover. 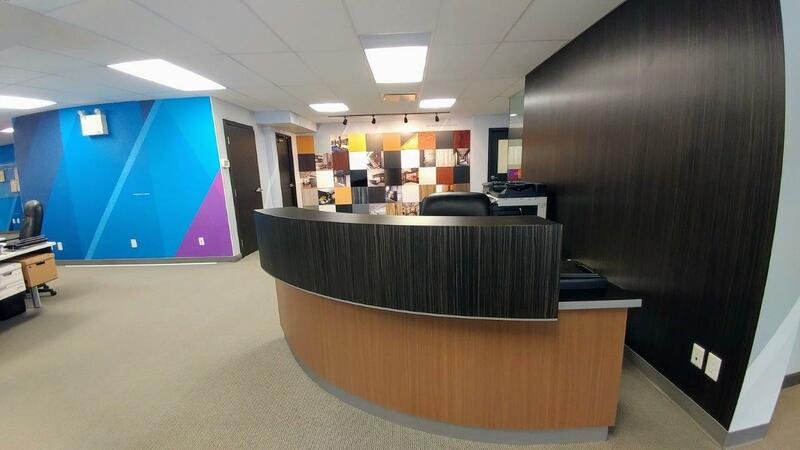 Outfitted office spaces result in an improvement of employee's work quality and innovation. 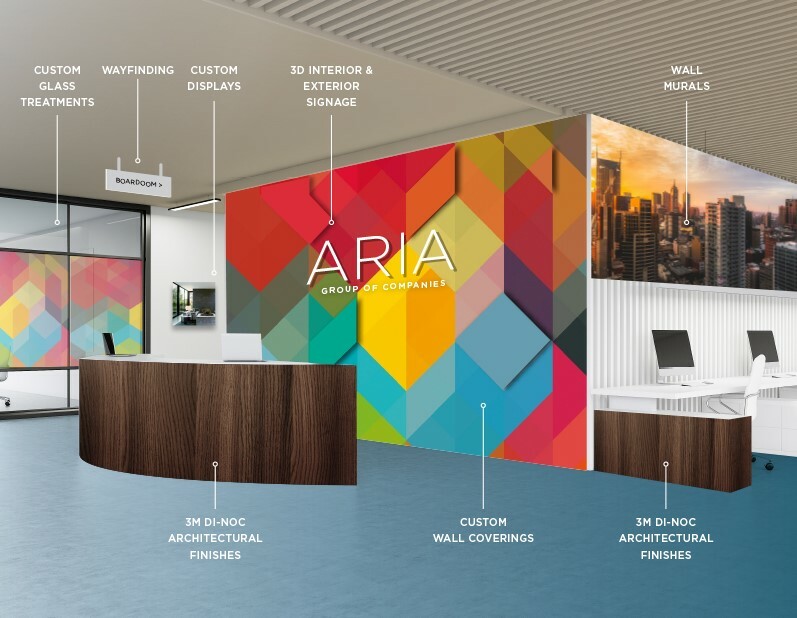 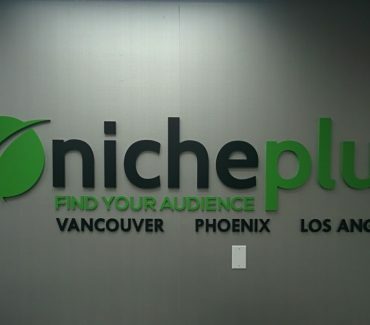 Branded space can create an impactful first impression with visitors, clients, and new recruits. 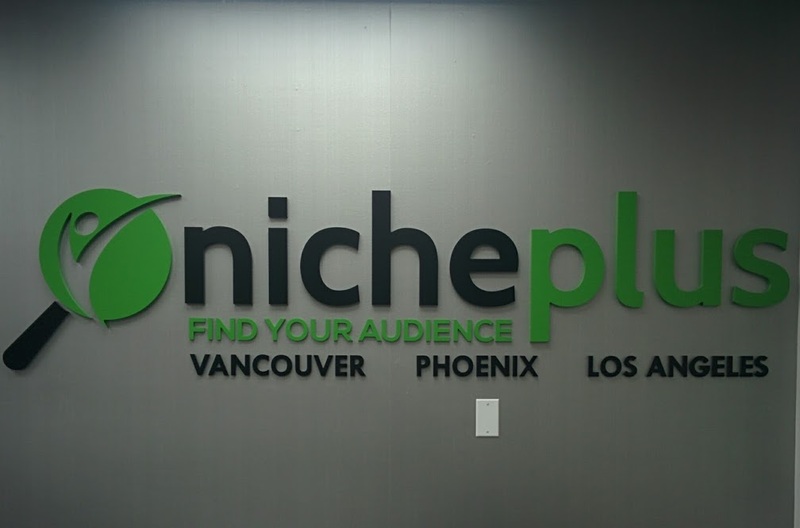 Instill organization’s value proposition and brand image through graphics at all points of contact. 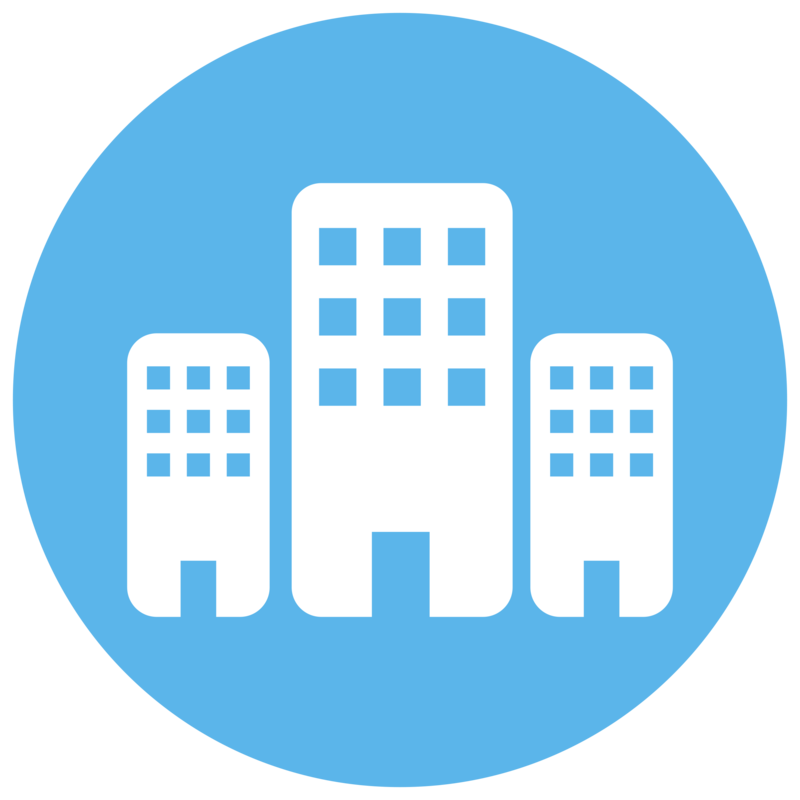 A visual representation of where your company has come from can be a powerful training tool for new employees. 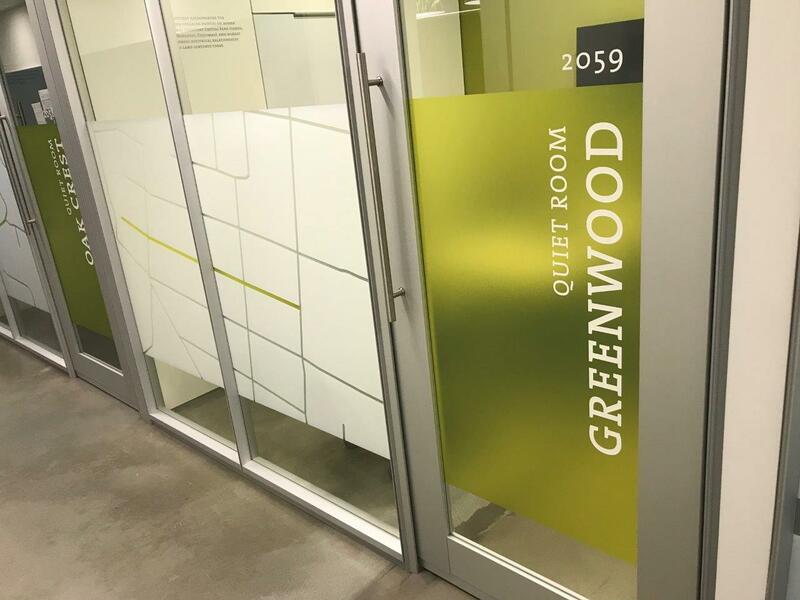 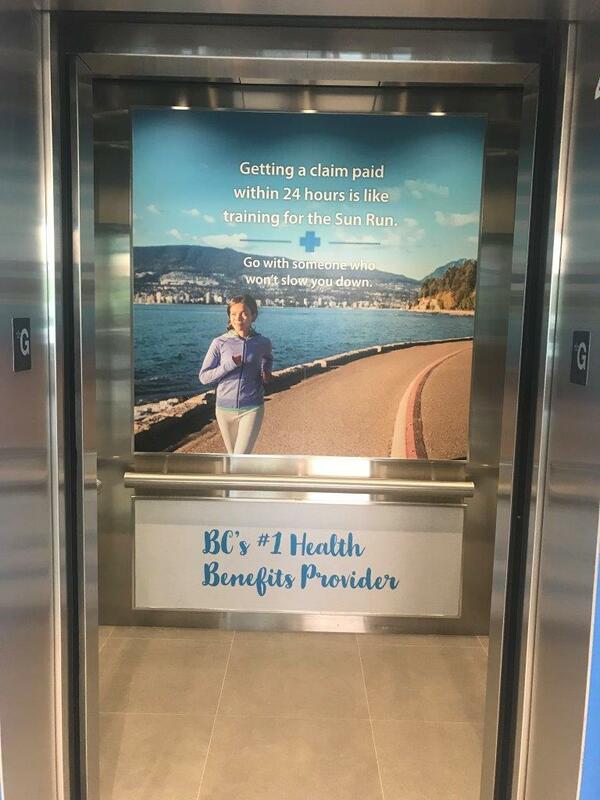 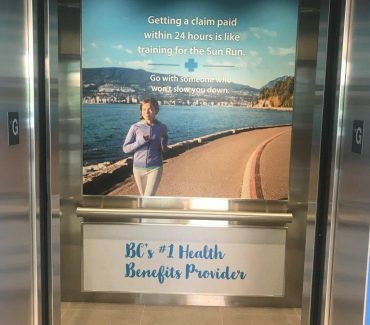 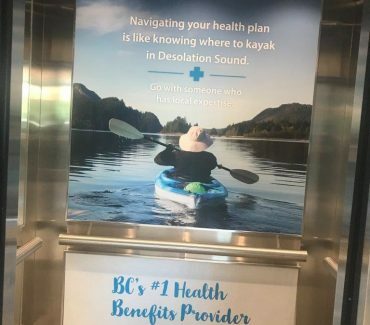 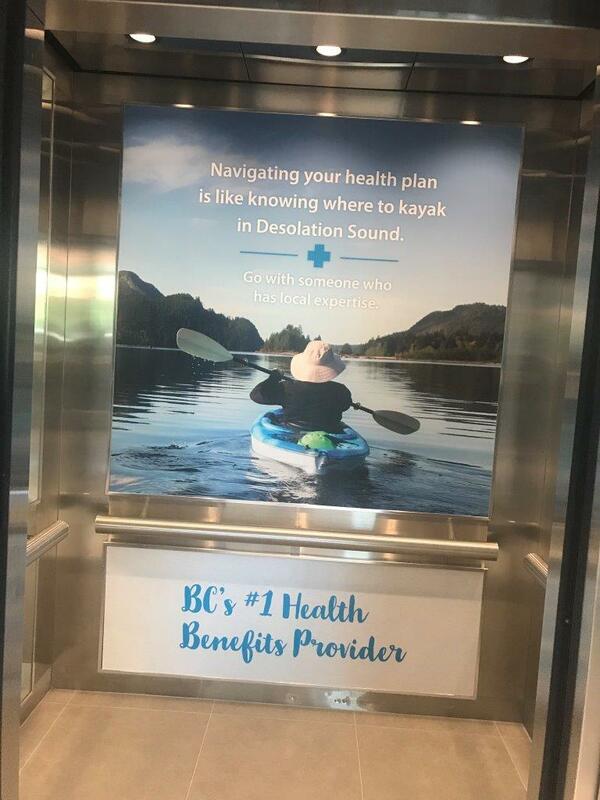 Elevate your client's experience by embedding your brand message across meeting areas, lobby, and hallways. 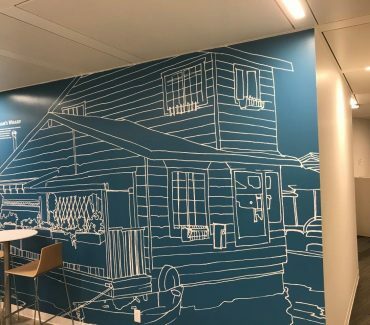 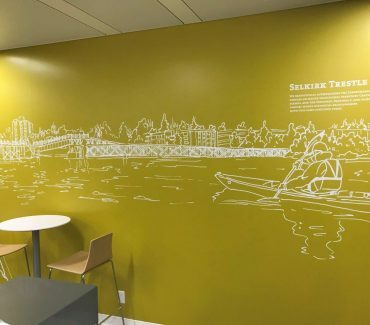 86% of millennials reported that “companies cannot encourage innovation unless their workplace and environment is innovative.” Use of artwork and imagery helps work environments to inspire creative thinking. 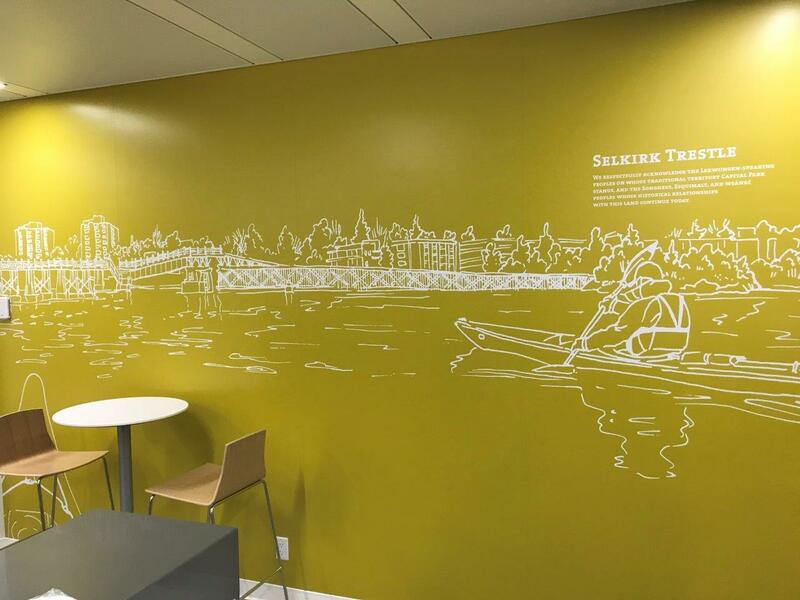 78% respondents agree that art in workplace helps reduce stress. 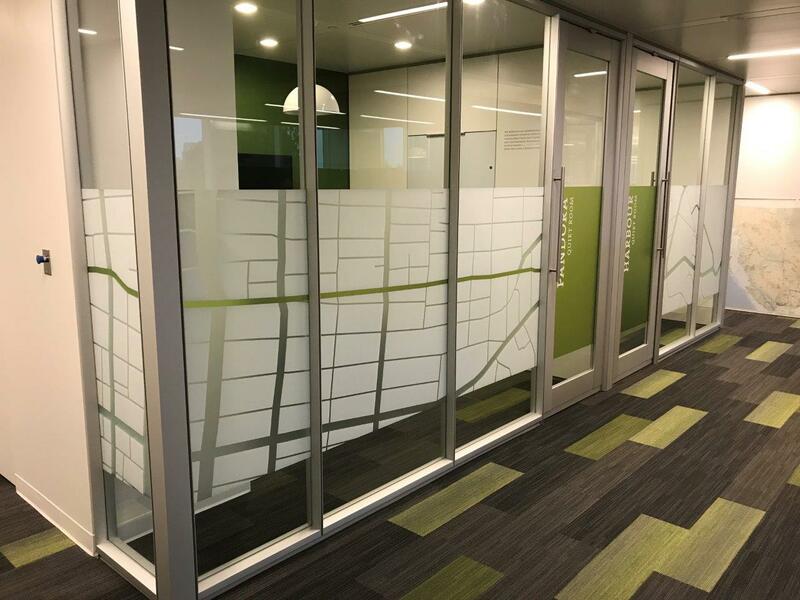 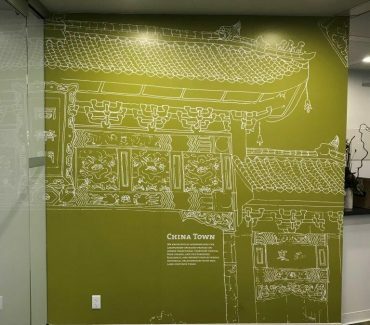 77% of employees agree that environmental graphics encourage expression of opinions in office space. 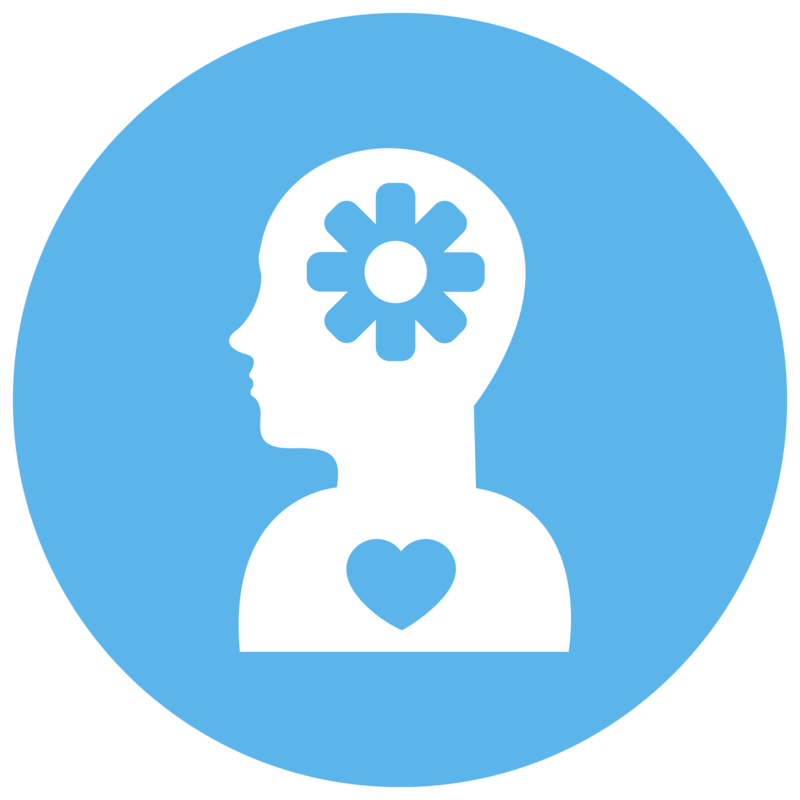 44% of employees rate the highest factor that improves work productivity is artwork and creative imagery. 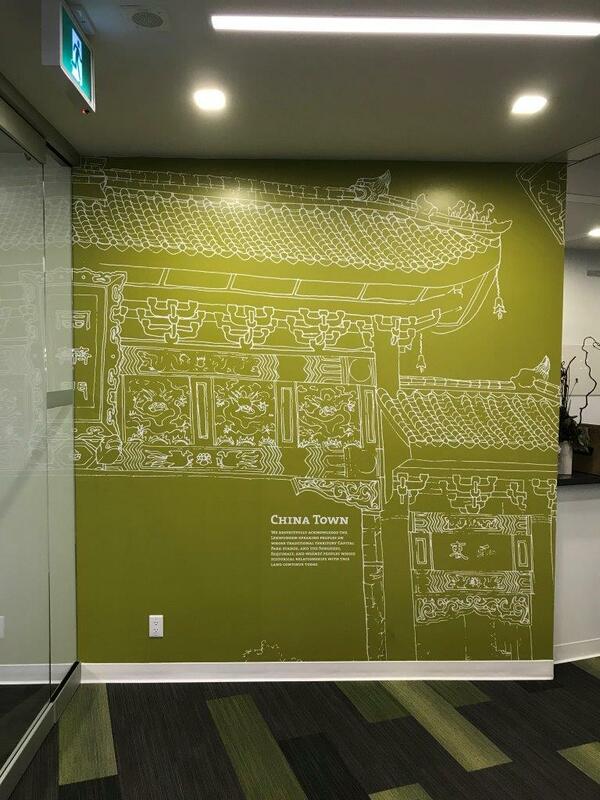 Create custom wall murals that stimulate interest within any space. 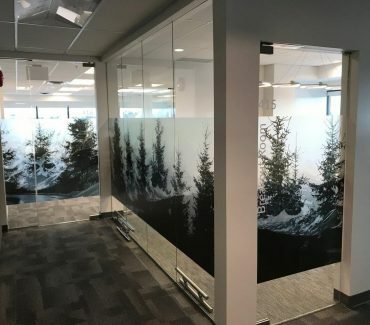 Print unique designs that add privacy, decor, or artistic flair to your space. 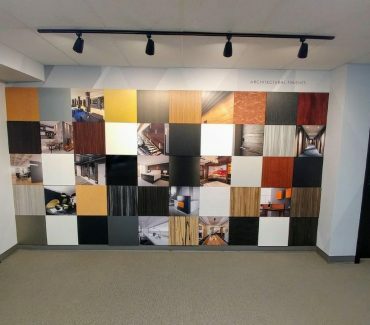 Turn your floor or walkway into a visual centerpiece or a ready-made playspace. 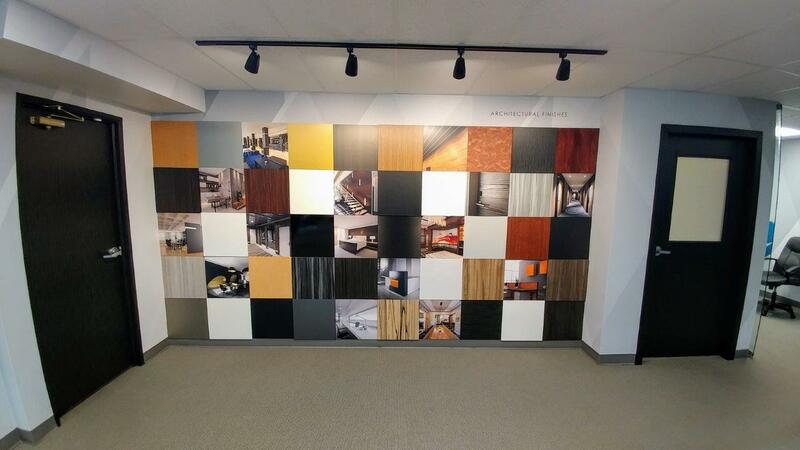 Inspire a new mood and "upcycle" your existing spaces with over 900+ designs. 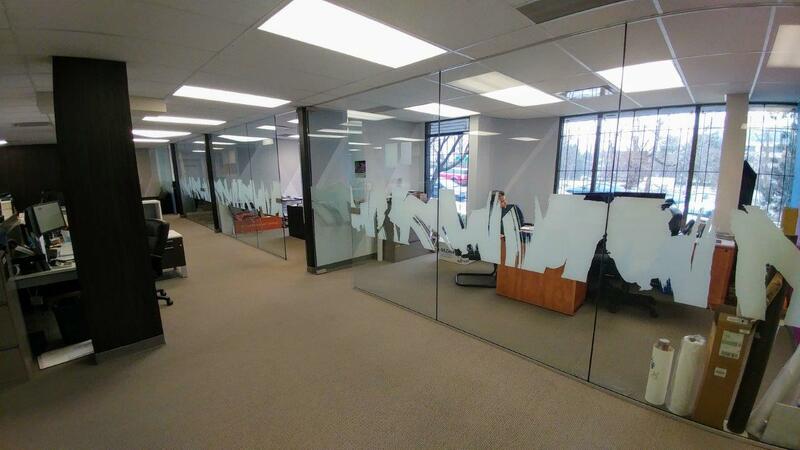 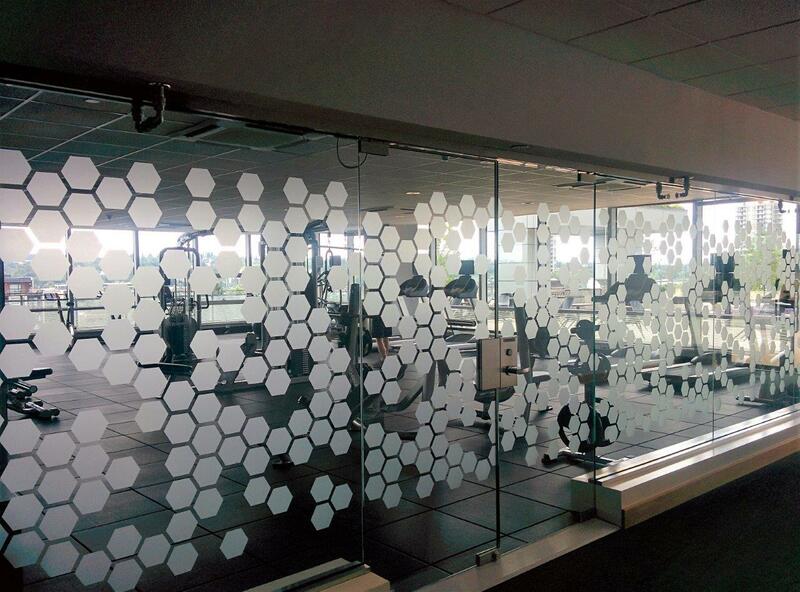 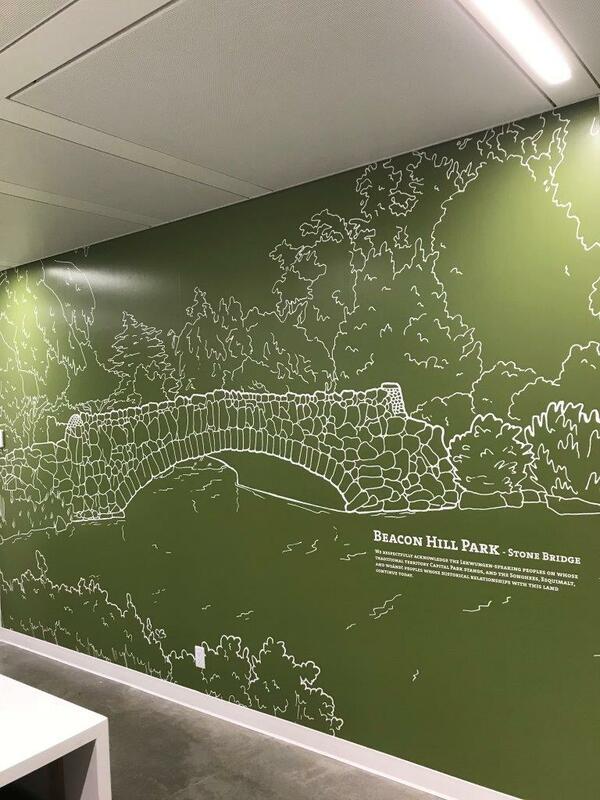 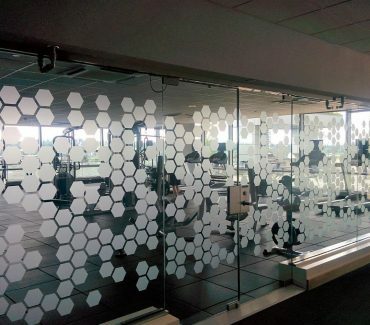 Want to learn more about environmental graphics or would like to get a quote? 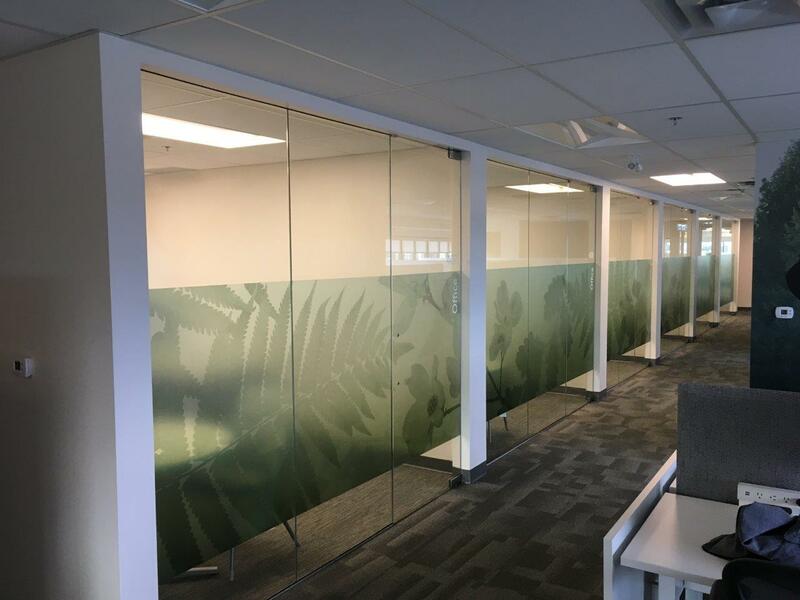 Leave your name and email below along with what you are looking for in the message box or call us at +1 604.437.8444.